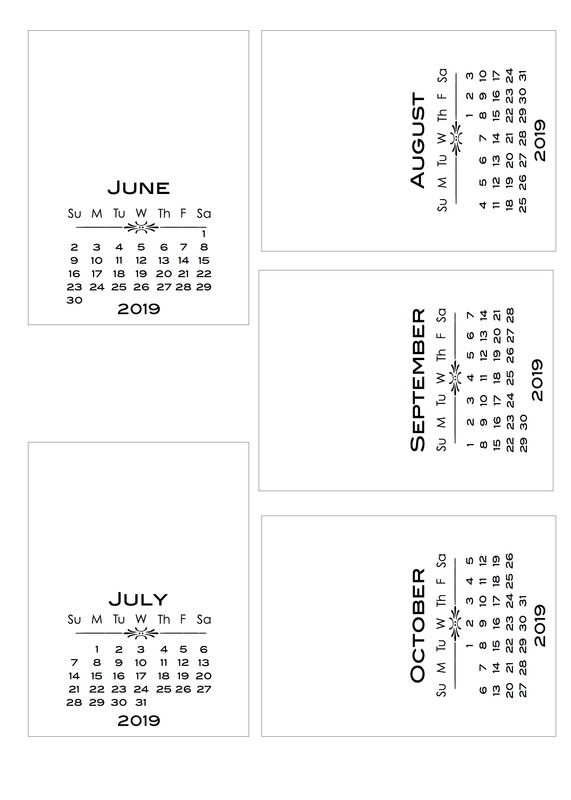 A week or so ago I had a request from Niki, who wanted my one-sheet calendars in landscape rather than portrait/ It sounds like an easy process but it … isn’t. If I’m honest, I prefer the cherry blossoms, which is a surprise, as I prefer the watercolour one in portrait orientation. 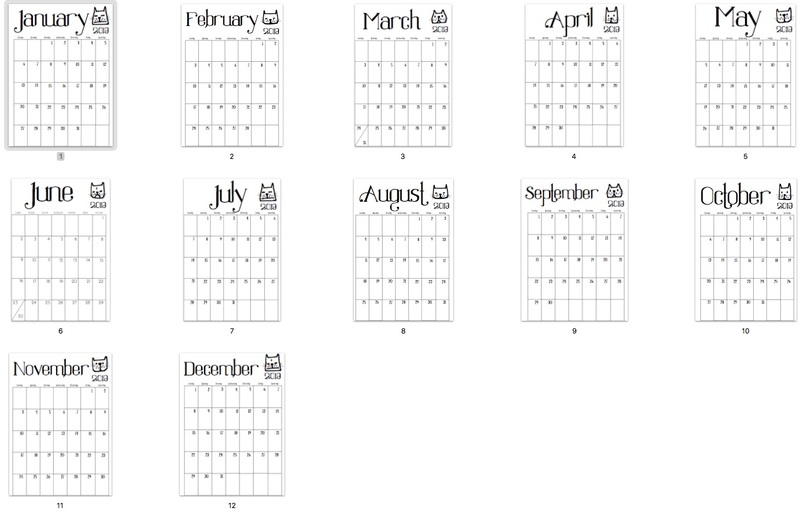 Categories: calendars | Tags: calendars, one-sheets | Permalink. In rummaging thru some of my folders of half-forgotten work, stuff I abandoned for one reason or another, I found a few things that I thought MIGHT have an audience. 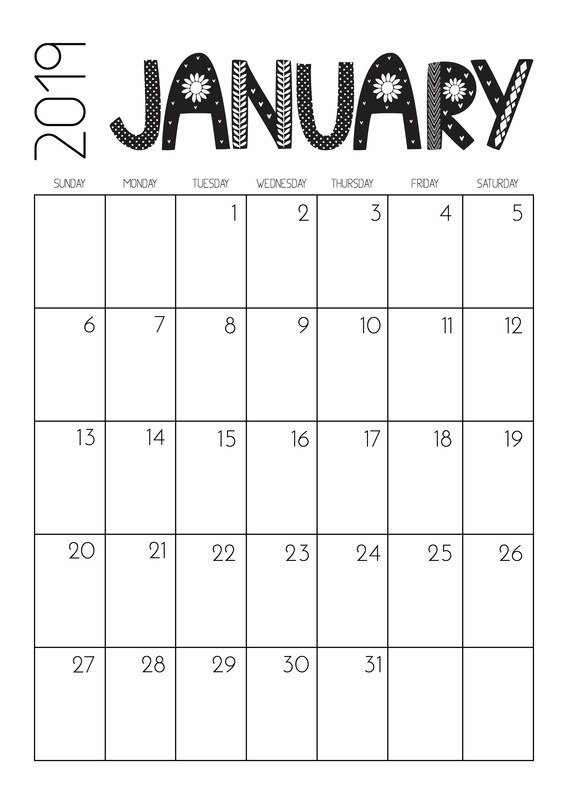 Some of them I updated in my Tall Box calendar style. 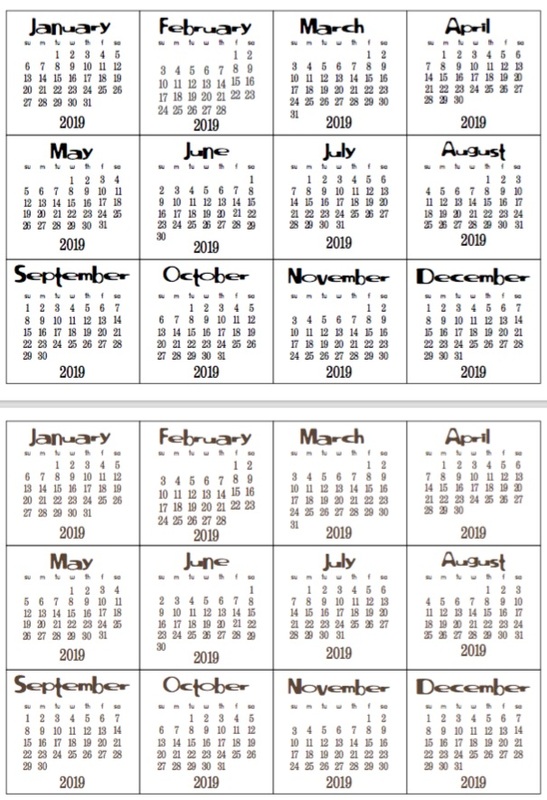 I made another set of One-Sheets for 2019 thru to 2022. They use a similar sketchy design as the cards here. Links to both the Sunday to Saturday and Monday to Sunday options in that post. It could either be a plain, simple B&W one OR you could opt to colour it in. You can download that here. Lastly, I’ve kinda jumped off the Project Life bandwagon. 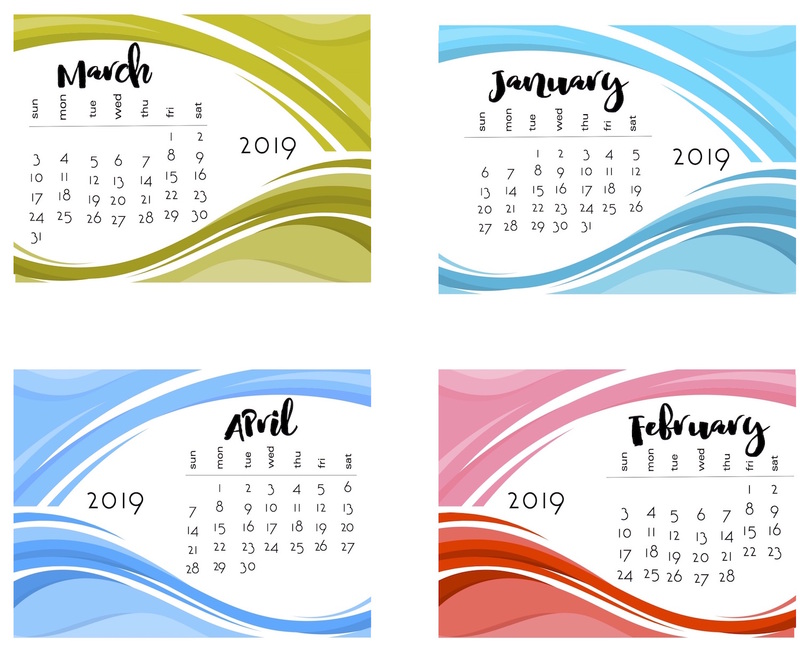 I used to do a lot of designs for cards, not just calendars, but they seem much less popular at the moment. As my time (and energy level) is pretty limited, I generally tend to do things I know (or at least think I know) will be useful. 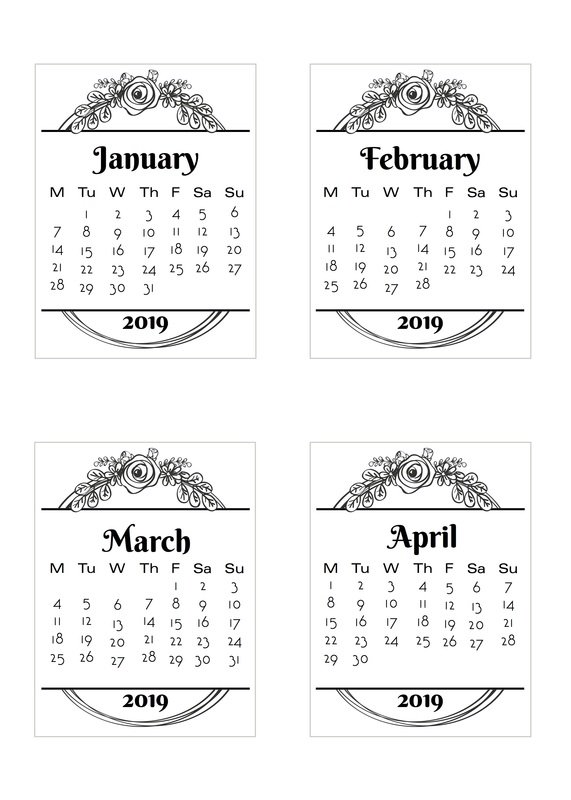 This is a set of calendar cards I made ages ago and never added. I liked them pretty well, I just didn’t LOVE them. If YOU like them, grab them here. 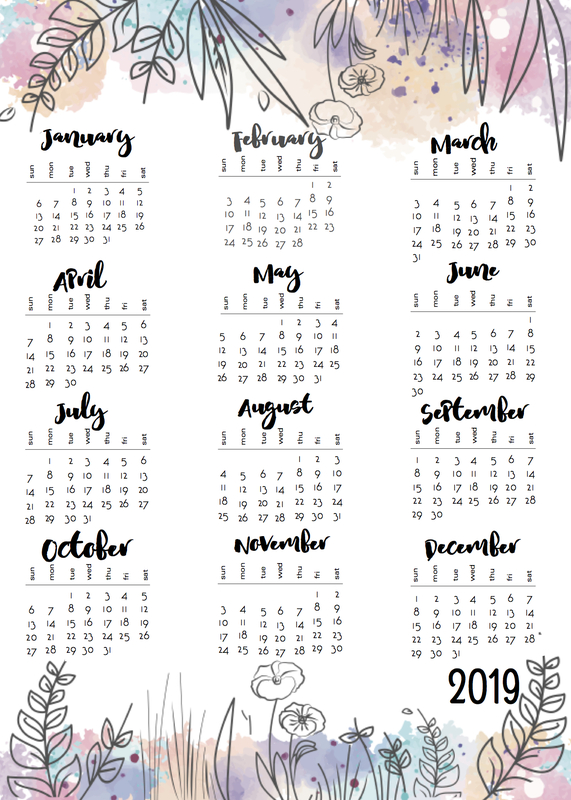 I have a few others that I might update (like a little cartoon monster one for kids – thought it would be cute printed BIG for their wall each month) but any thoughts you have feel free to comment them here. 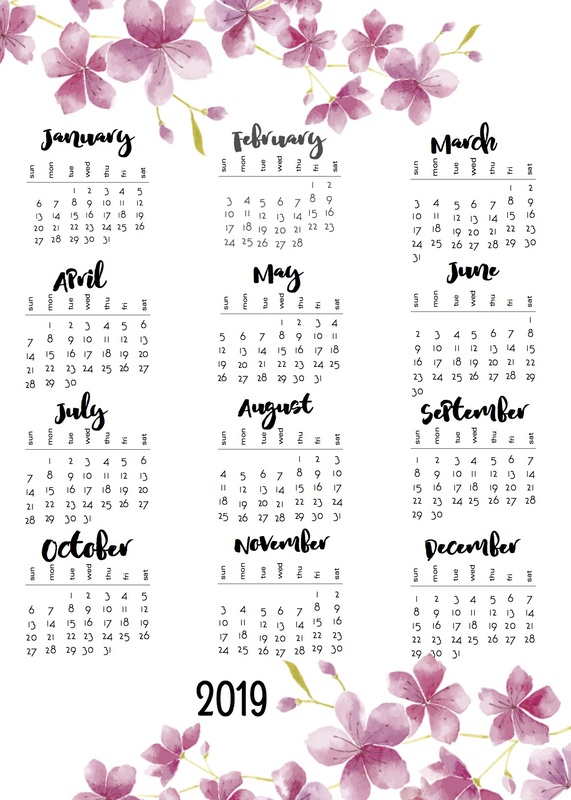 I have been making calendars for quite a while. I learn new things about the process every year. 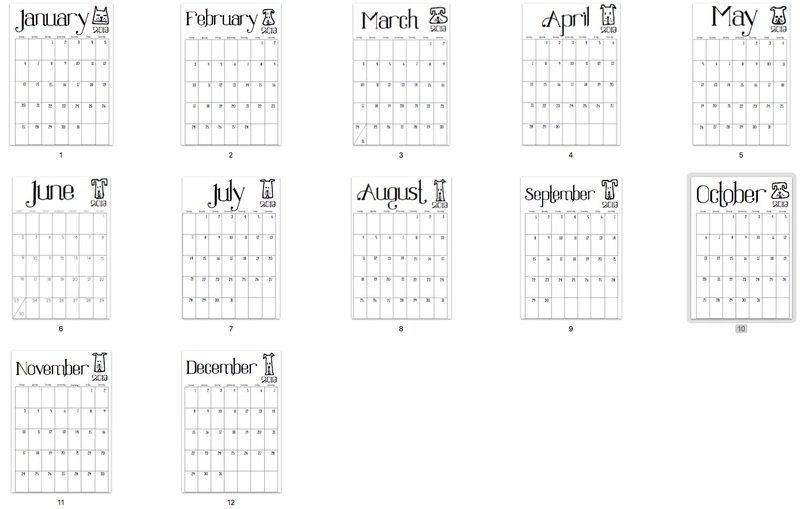 I was testing out a new process (boring, work-flow stuff) and had a thought I might do a calligraphy style calendar. Luckily, just as I started working on it, I got a ping-back request from Lolly Jane for their yearly round-up. And guess that? 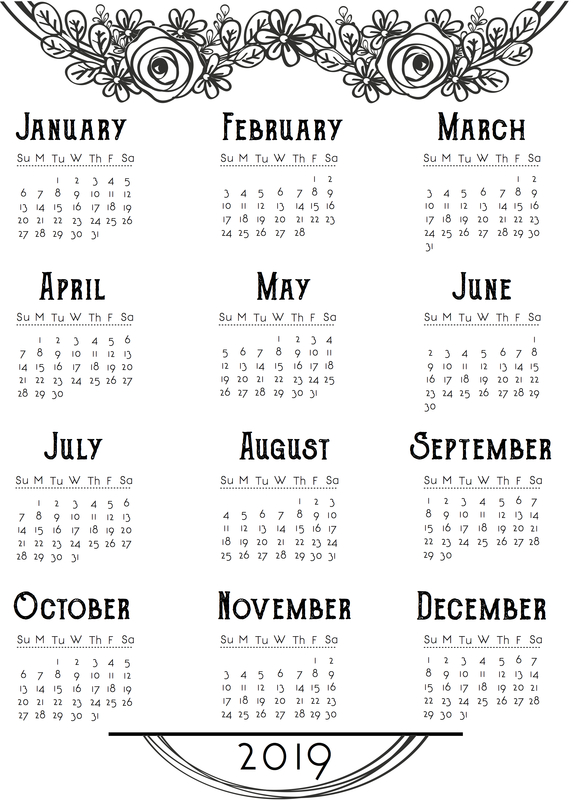 of the calendars they feature, a ton of them have calligraphy month names. Maybe even the majority of them. 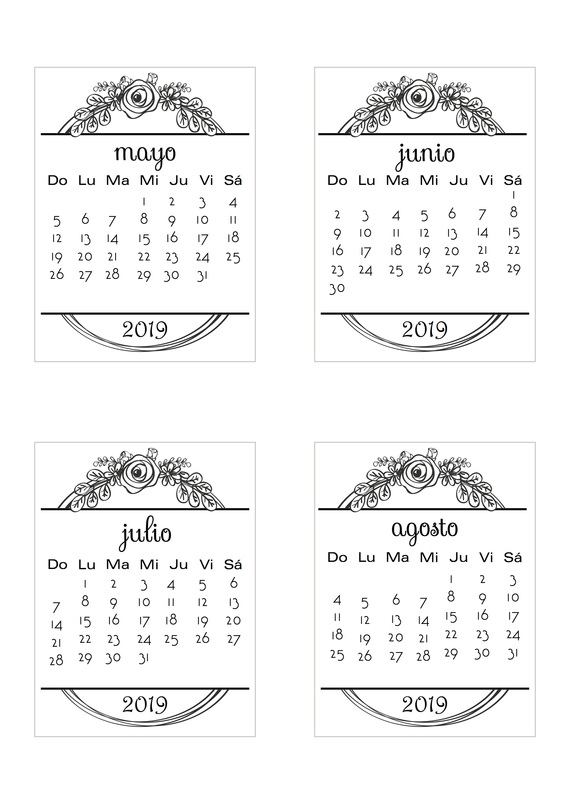 (Of course they featured the doily one – I am so tired of that one, but people do keep asking for it so I guess I’ll keep making it. 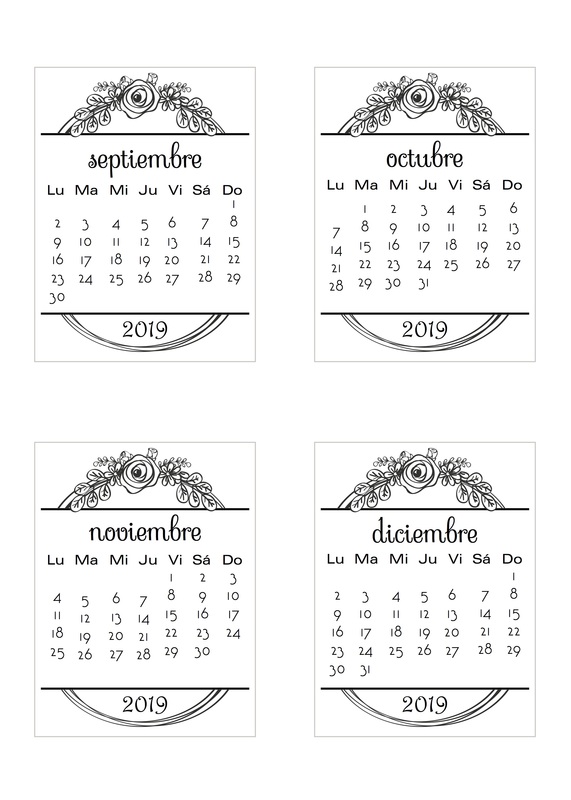 Actually that has given me an idea…) While I thought the font I picked was super cute (and not a freebie one so not common) it was such a crowded field no one needed yet one more in the same style. Saved myself a ton of work there then. 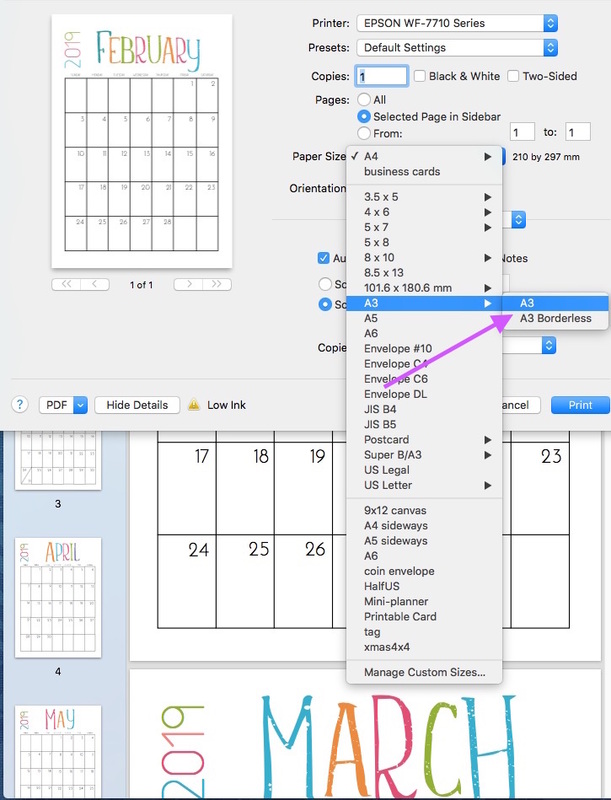 Virtually any calendar can be printed in virtually any size, if it is a PDF – some jpgs might work but if the resolution is low they might not be as crisp and clear as you would like. 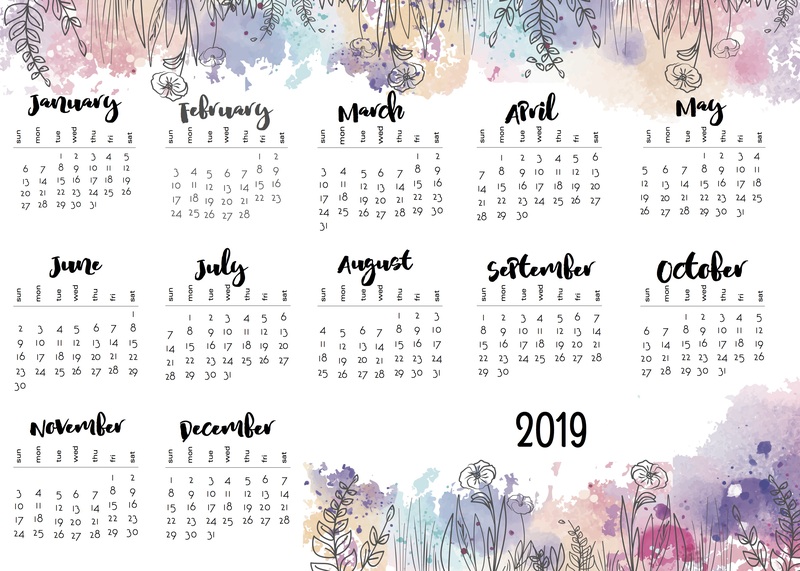 My process seemed to work OK so I may explore a few other options throughout the year. 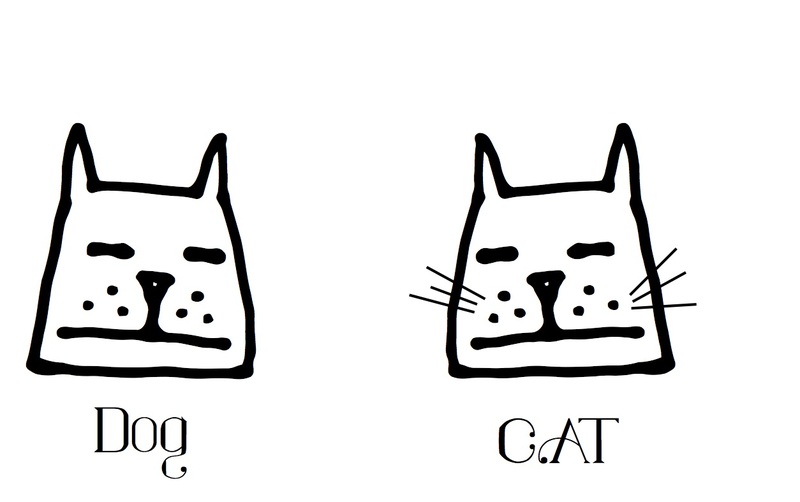 Probably NOT a calligraphy one ‘tho. LOL! 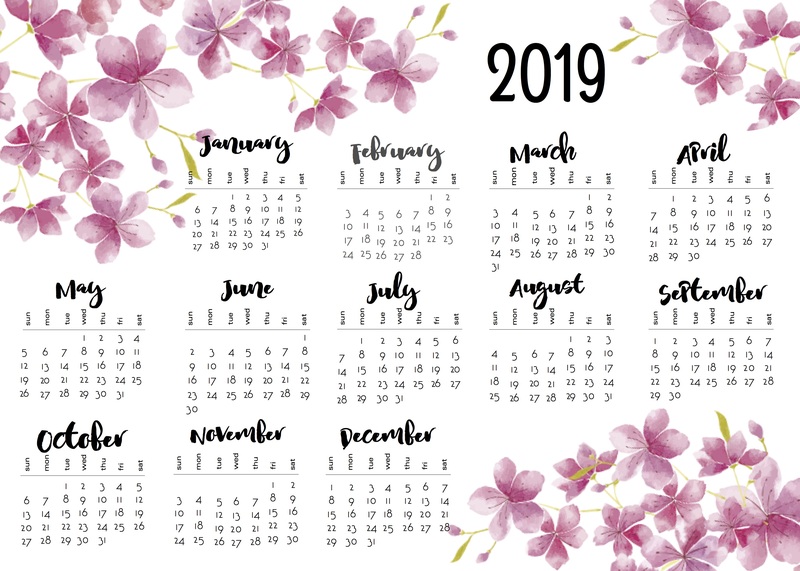 Time to update my own page of 2019 calendars – I’ll probably try to do that and post in the next day or two. Now, about that idea…. Another request. 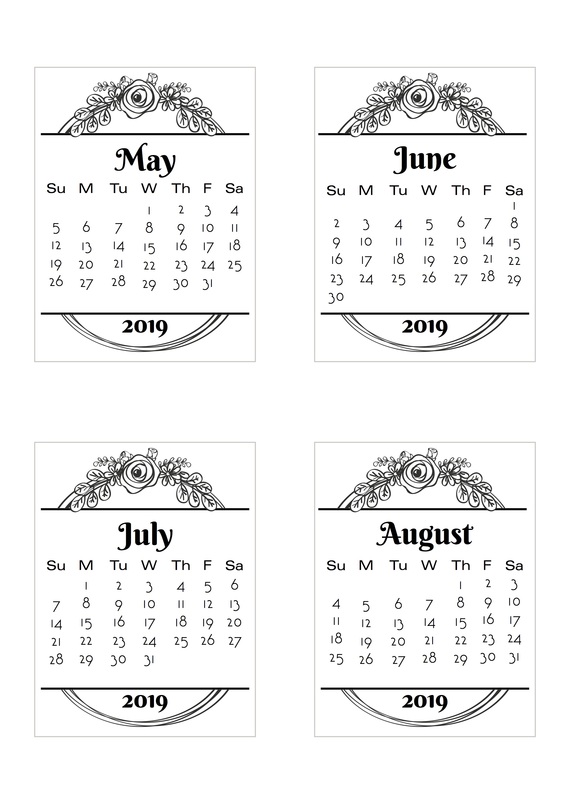 Luckily, I have always saved old calendars so generally making a new one based on an old one is actually pretty simple, if a bit boring. But I know that people like what they like and if a particular style has worked for years it is nice to keep using the same one. 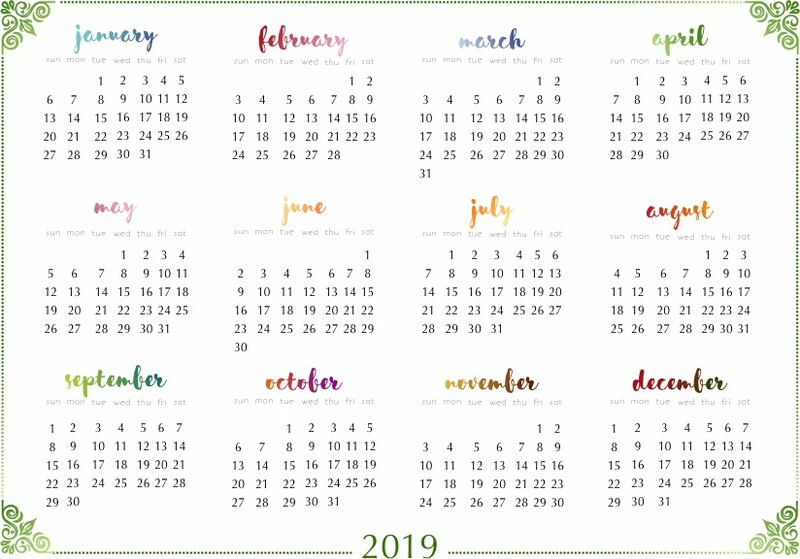 One of my favourite stories was a commenter who was using my calendars as a tracking device for the two years she and her hubby were working towards selling their ranch. She had a whole display and timeline set up in their kitchen. So she had a specific reason to want the same style over multiple years. 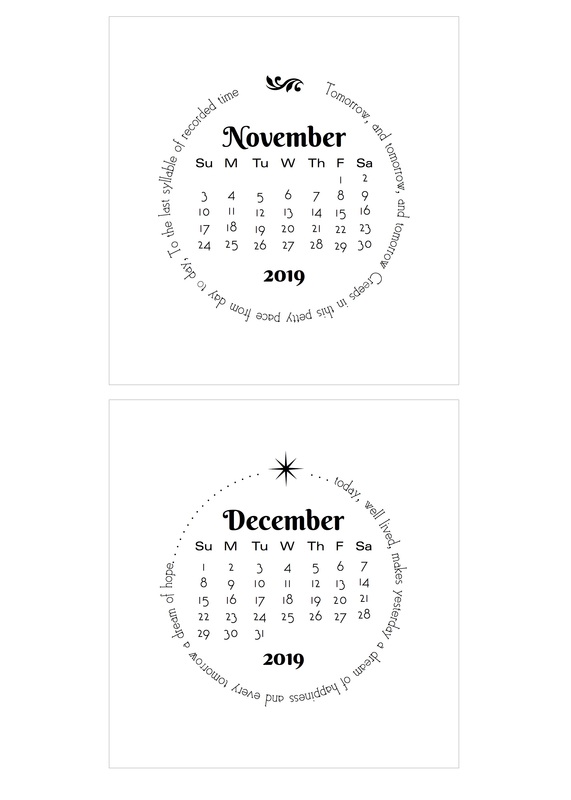 Anyway, here is the circle calendar with quotes, as requested. I’ve stuck with the same font and same quotes although I may try to update that to a more modern style. And I also did the 4-a-page version. These print at just about 3×3 square. They might fit the mini-CD boxes but I don’t have on to test out! Make what use of them you will and if you do, please share! 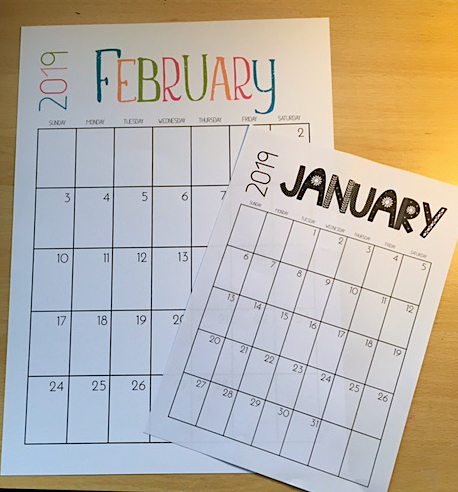 I am also working on creating the variation I have done before, which is the calendar on the left with lines for writing on the right. They are Project Life sized (are people still in to that? I am very out of touch!) 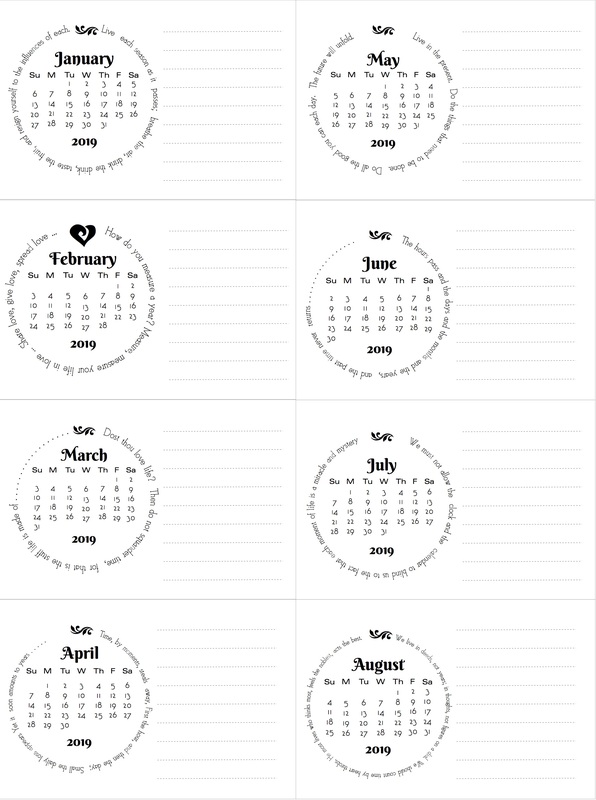 but would also work on a book ring, for example as a Birthday Calendar. watch for that soon. There is one of those awkward titles again. 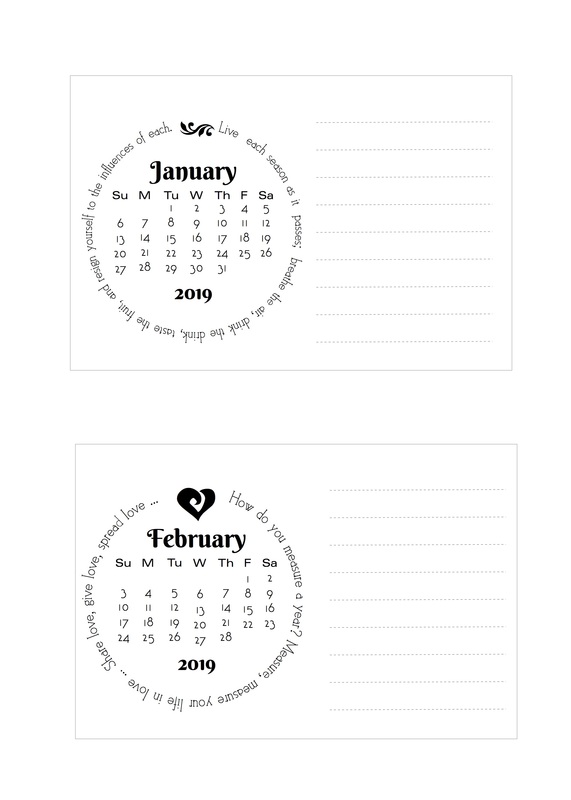 And as a result is the 5-a page for 2 pages then a trio of blank cars with Daily Celebrations, Trending and Currently headings. You can download that here. 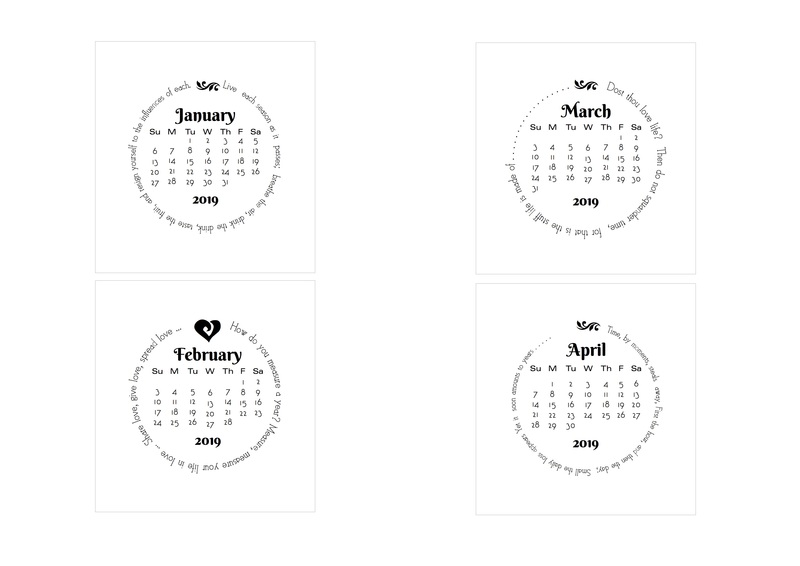 Still working on the circle CD calendar with quotes but it should appear very soon. Jeeze. The post titles are getting too long as I try to cram all the descriptive info into them! 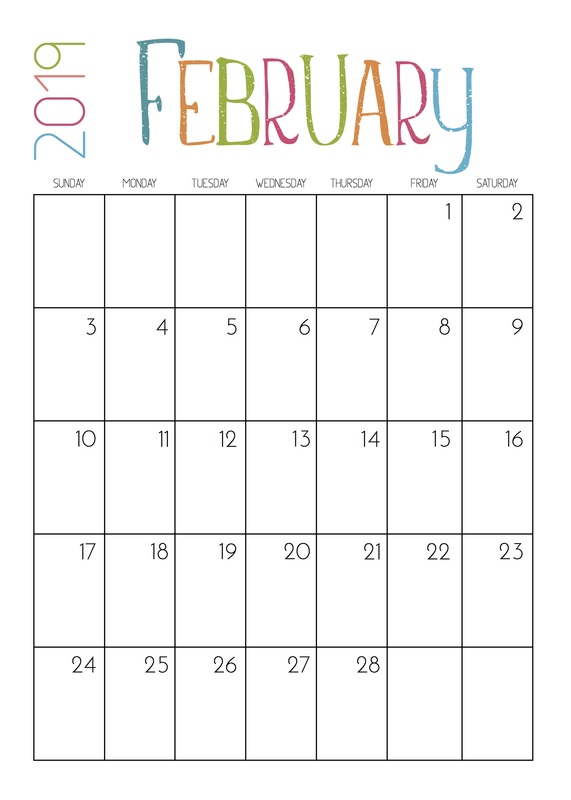 I don’t always do a Monday to Sunday in English-language calendars because they don’t get downloaded very often. 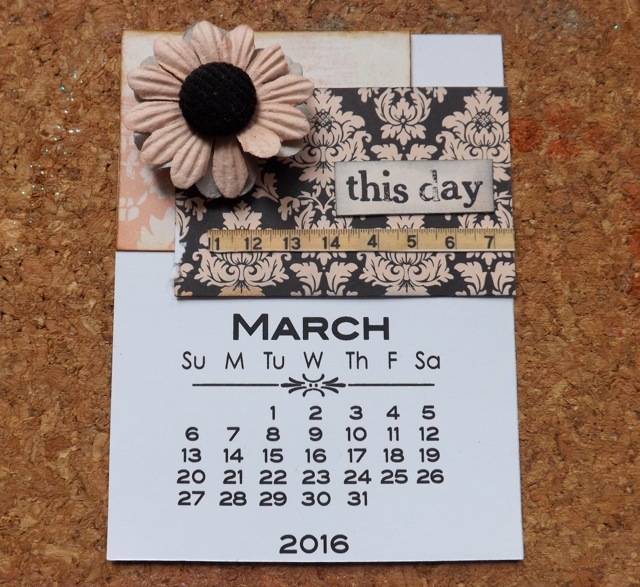 I like a Monday start in a planner but not so much my calendars. But since I did them for French and Spanish, I figured I might as well. Click here to download the Monday to Sunday version. And here is the one I prefer. Click here to download the Sunday to Saturday version. Just Monday to Sunday for the French version. To download it, click here. 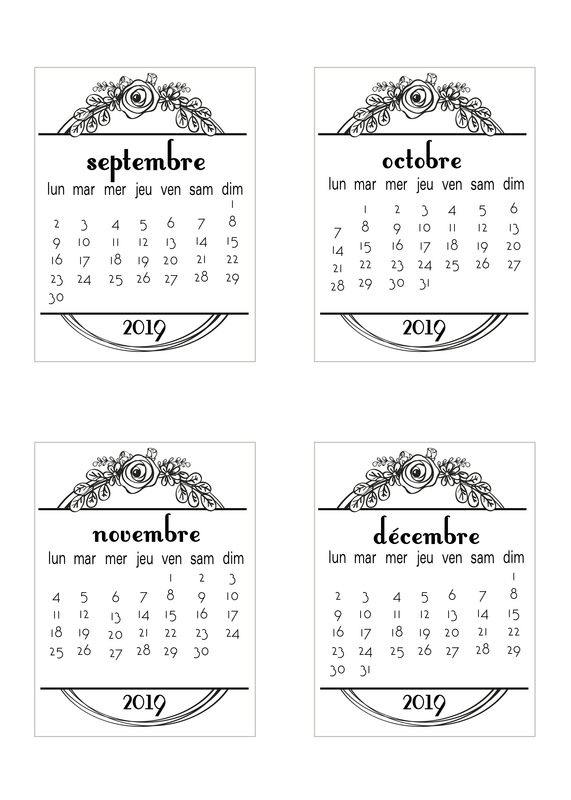 Categories: calendars, French, Project Life | Tags: calendars, Project Life | Permalink.